"Biggs kicks off the Tinyville Town series, focusing on hard-working, civic-minded folks, from the police officer to the trash collectors, who share their expertise to make a city work... The can-do spirit is off the charts." 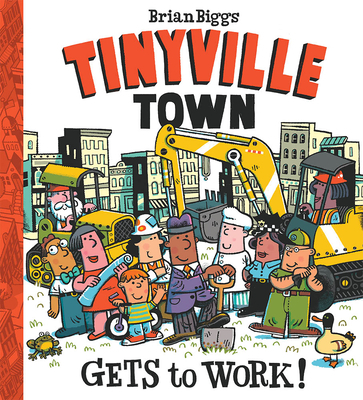 "The diverse people of Tinyville Town fill jobs with a healthy disregard for strict adherence to gender roles in this big, bright, and friendly construction tale... A crowd pleaser just about everywhere, no matter the size of the city, village, or town." "With a setting reminiscent of Richard Scarry’s Busytown, this offering will be a hit with future city planners and engineers and all children who like to know how things work."